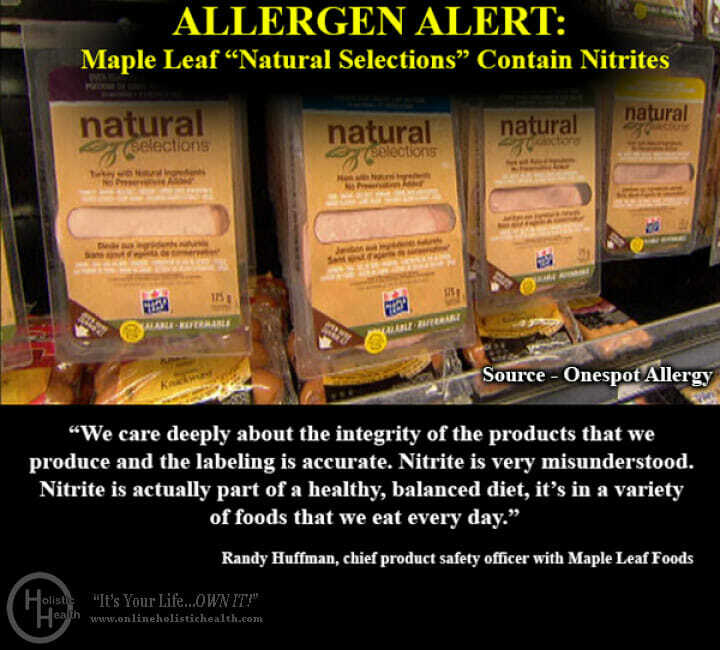 Does Maple Leaf “Natural Selections” Contain Nitrites? 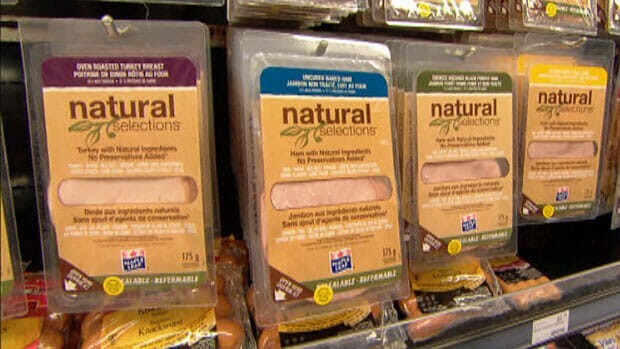 The question here is…is there a difference between “natural” vs “chemically” derived nitrite? 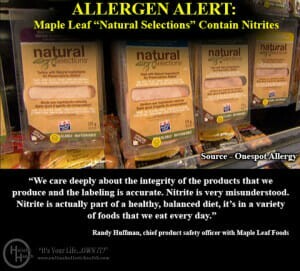 The Maple Leaf website states that “We removed artificial preservatives and replaced them with sea salt, lemon juice and cultured celery extract, which are natural preservatives.” It would be more accurate to state that cultured celery extract is a natural source of nitrite (celery is loaded with nitrate), or that they’re using nitrate derived from celery. When asked to compare cultured celery extract to sodium nitrate in this CBC news article, nutrition expert Dr. Yoni Freedhoff said “for all intents and purposes it is bio-chemically identical.” Read more here. However, the source of these “nitrites” are “cultured celery extract”…a healthier version than the chemically derived. But is this healthier? Personally, I believe the bigger issue here is “processed” meats. Is the meat from organically raised animals? What has been added? Certainly…I would not worry about salt and celery! This reminds me of how people worry a lot about naturally occurring MSG…which comes from amino acids. What do you think? 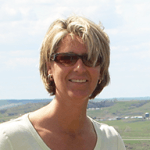 I would love to hear your comments!! I would not worry about salt and celery. I thought that was how they were able to state no Nitrites added, but when combined they create more Nitrites than the ones that do add it. My rule is if it is made in a plant, don’t eat it. I’m a little late to the game, just ran across this article. Interesting take to say the least. In regards to the above comment by Rick “if it’s made in a plant I don’t eat it” I’m just curious as to how this works? Every animal that is slaughtered is done so in a plant unless it’s killed on farm or hunted. I mean if we look at the reality of things, if we didn’t process everything in a plant under inspection there is no way we could feed the growing populations. I do have a question for the author, why suggest organic only? Don’t get me wrong, I love choices and whole heartedly believe in providing consumers with choices between organic, all natural or conventional, but why tout organic when the real topic that I’m seeing here are added ingredients? To date there is no evidence slating organic as being a healthier or safer alternative to conventional products. I suppose you are right, however…people should have the choice. My personal choice is pesticide/chemical free food (and GMO free). Just using common sense, I see absolute no positive health result from ingesting chronic amounts of poison. It would be like offering you a bowl of organic fruit with a side vial of pesticides, so you could pour it all over your fruit yourself. Would you if you had the choice? If you ingest conventionally grown fruit…the choice has been already made for you. You just can’t “see” it. I cured myself from MS 100% naturally just over 10 years ago, and eliminating unnecessary chemicals was a big part of my recovering. Will eating a conventionally grown grape kill someone or make them sick…no, but eating many over many years can – and it does. Thanks for your comments and expressing your opinions!! Avoid Store Bought Fruit cocktail! Beware of "Power" Products Sold in Health Food Stores! Country Time Lemonade! Where’s The Lemons? Yoplait Light: The "Healthy" Choice?